Hi, my name is Kelly Hainsworth and I am a fully qualified reflexology practitioner and maternity reflexologist based in Leicestershire, England. I launched my business in 2008 and understand what it takes to run a successful complementary healthcare business. I found it both a challenging and rewarding process, there is certainly never a dull moment when you are your own boss! As a practicing reflexologist, I am also the founder of the Love Reflexology community on Facebook, Instagram and Twitter. 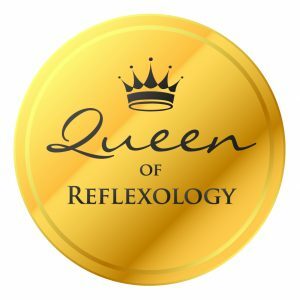 Love Reflexology is an independent support and networking group where practitioners from around the world share best practice, network and take part in live Q&As with health and well-being specialists. I love being part of such a supportive community and networking with so many inspiring small businesses. Through establishing my own successful business I provide 1-2-1 Business Mentoring to work with small business owners like you to help develop and grow your practice. Growing a small business can feel like a daunting and lonely task, but I am here to support you and help you grow in confidence. When working together we can look at business planning; marketing; using social media; develop ways to attract clients; establish your niche in the market, and more. Are you ready to grow your complementary healthcare business? I am excited to share that I will soon be launching my new members’ area for practitioners on my website to support your complementary healthcare business. As founder of the Love Reflexology Community and Directory, and my work as a mentor, I have developed a wealth of material to share with you all – to support and grow your business. Importantly, I am a practising reflexologist running a successful business in Leicestershire, which means I understand what it takes to run a complementary healthcare business, the challenges you face and how to grow your client base. I understand what works and what doesn’t and can share this with you all. More details will be released soon, including pricing and details of what to expect from this exciting support for your business. Are you ready to grow your business in 2019? Having a Business Mentor is like having a trusted adviser by your side. Many small business owners work alone and this can be challenging when you are feeling stuck, or want to grow your business. Having an experienced and knowledgeable mentor by your side can provide the injection of energy your business needs. You may be in the process of setting up your complementary healthcare business, feeling stuck or ready to grow your client base; working with a Business Mentor can make a huge difference to the rate these changes can occur and their outcome. How can Business Mentoring help? As a Business Mentor I am here to support you and your business with your goals, struggles, frustrations and hopes. I am here to help you move forward with these, provide a fresh perspective, suggest ideas and help to keep you focussed. As a reflexologist running a successful business, I understand the challenges your business faces, and can support you with a range of business topics. I understand working alone may mean you become demotivated or disheartened; as your mentor I’m here to listen, support you and help you stay on track. We work together to help you achieve the best results for your business. Gain clarity on your aims. Produce a business plan – including establishing your niche in the market. Set realistic goals for your business and create effective action plans. Set pricing for your business. Raise your profile in your local area. Solve problems and eliminate obstacles. Overcome fear, self-doubt and procrastination. Gain a fresh perspective, receive feedback and new ideas. Stay on track with your business plans and true to your aims. Support you with branding or rebranding projects. Provide social media technical advice. Generate marketing advice and ideas. What does the 1-2-1 Business Mentoring package include? A one-hour Skype, Facebook Messenger video or FaceTime meeting to discuss your goals, challenges you are facing, support with projects you are working on and planning for future work. A written summary of our mentoring session with agreed action points. You may also be sent worksheets produced by me to support you with your action points. For this package you will receive all of the above covered in package one and in addition a second one-hour virtual meeting. This provides a great opportunity to discuss the work you have carried out on your action points, plan your next step and helps you to stay on track with your action points. Payment for the Business Mentoring Package is required before the virtual meeting takes place. If you decide you would like to go ahead an invoice will be sent to you with full details on how to make payment and a variety of dates and times will be sent to you for our session. During my work with Business Mentor clients, they will discuss their goals, business challenges, aims and objectives. This information is confidential and is not shared with any other party. Our work together is a confidential partnership to achieve the best for your business. Please be aware that if you email any information about your business to me, I will only hold and use this if we proceed to work together, at which time I will require explicit consent from you to hold this data. If we do not proceed to work together I will erase this information. Worksheets issued during the 1-2-1 Business Mentoring Package are owned and copyrighted by Kelly Hainsworth. They must not be reproduced or shared with any third party without prior consent. If you are ready to use my 1-2-1 Business Mentoring Services, please email kelly@kellyhainsworth.com. “I had been thinking about changing my business name for some time and wanted to ensure I got the right advice and I approached Kelly who worked with me as my mentor for the month. Kelly’s advice and support were invaluable and I was grateful to have her virtual presence by my side. I highly recommended Kelly for her expertise and support.” Karen Jones from Karen Jones Reflexology Business Mentoring Client. “I am so glad I decided to sign up for your business mentoring course. It’s given me a new-found confidence in myself, which I am very grateful for. I felt my business was taking a bit of a stand still lately and I was stuck in a rut. With Kelly’s help and patience, we worked together, and I feel a new enthusiasm for my business and look forward to my business growing from strength to strength. Thanks again Kelly.” Rachel Cheyne from Reflexology by Rachel. Business Mentoring Client. 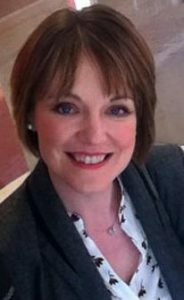 “Kelly provides easy to understand, insightful training for Facebook and Twitter for therapists’ business use.” Business Mentoring Client. “I went to Kelly because I wanted to understand how to get the best out of social media for my business. Her great advice and support has made a real difference, one of the best things I have done this year.” Business Mentoring Client. “I have really enjoyed working with Kelly to improve my Facebook business page. I am impressed with Kelly’s business and social media knowledge. I felt the training was tailored speciﬁcally to my needs and the support she gave was invaluable.” Jane Long, Calm Therapy Reﬂexology Business Mentoring Client. “I have struggled to know where to start with social media for my business. Kelly’s advice has been invaluable. It has been so helpful and easy to follow and has given me the confidence and knowledge to get started. I would highly recommend Kelly’s Getting started with Facebook training.” Sarah Annis Reflexology. Getting Started with Facebook Training Client. GDPR: What does it all mean?